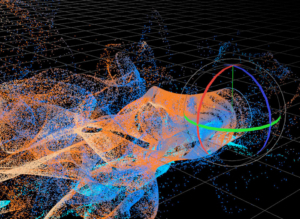 Spectacularly fast, full-featured particle simulator for CINEMA 4D. Harness the full power of the particle without using Xpresso or Cinema 4D’s particles! 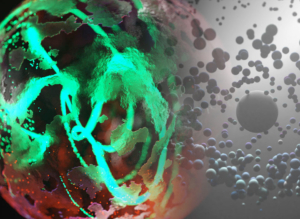 X-Particle’s exclusive system of Questions and Actions that give complete control over every aspect of your particle simulations, whether you’re rendering liquids, gasses, explosions, or something more experimental. X-Particles is nicely integrated into Cinema 4D’s workflow and includes sophisticated features that allow you to modify the particles anyway you want. An essential component of an artist’s toolkit, we have vastly improved our visual effects features such as Cloth, Smoke, Fire and fluids. Alongside, we’ve given some of our existing features a significant overhaul, others just a little fine-tuning. Designers can switch effortlessly between motion graphics and VFX, within a unified system built on the most intuitive particle software on the market. xpExplosiaFX comes with its inbuilt forces, but the real beauty is its ability to interact with other X-Particles Modifiers and Generators. Add xpTurbulence for erratic movement, then drag the Offset xpRotator into your modifier list. Layering up the modifiers gives you unprecedented control over your smoke and fire simulations. Drive smoke simulations with our new xpFlowField, just create a custom velocity field using xpFlowField and add a circle spline. The smoke simulation hits the velocity field, and the smoke will be affected. You can use the simulation to advect particles, creating stunning effects. Use xpExplosiaFX to define the colour of your advected particles, custom colour or use our shader. You can even pass on the temperature information of the simulation and use this to colour your particles. xpExplosiaFX is fully integrated into the X-Particles system, you’ve never had so much control over your smoke, fire and particles simulations. xpExplosiaFX will become your first stop in the creation of realistic smoke, fire and explosive simulations. Various settings provide you with unparalleled control and interaction. Adjust the voxel size to control the resolution. View different channels such as temperature, velocity and speed. You can isolate each channel, for example, switch off smoke to concentrate on fire or vice versa. Introduce the Forces tab, and add wind to your scene, make the movement erratic, and fine-tune the detail by adding curl turbulence, to produce even more realistic simulations. Render xpExplosiaFX with a standard or physical render inside Cinema 4D, using X-Particles Gaseous shader for outstanding results. For stunning realism and speed of render use xpExplosiaFX in Cycles 4D. xpFluidPBD is a particle-based dynamic solver, ideal for fast, small scale fluid simulations. Mix with any of the X-Particles modifiers to fine tune and art direct your fluids. Combine xpFluidPBD with the new xpSplineFlow modifier to build complex simulation shots for all your clients needs. Add the xpOpenVDB mesher and get fast interactive fluid animations at your fingertips. Our new hybrid SPH solver xpFluidFX uses the latest techniques in fluid dynamics for medium to large scale fluid simulations. With the solver added to your scene, you can set your fluid on an as per Emitter basis, giving you full control over the type and look of your fluid simulation. Setting up highly viscous fluids with surface tension is easy, add more Emitters to your scene to create mixed density simulations with ease. Fill objects and maintain the particle volume, mix in the X-Particles Foam and Spray Object for wonderful fluid advected particle effects. Collisions are handled with the new xpFluidFX Collider Tag, for full control over collision simulation, adaptive collisions can help save memory for faster simulation feedback. 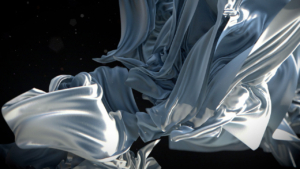 The all-new xpClothFX Dynamics system brings remarkably fast cloth simulations right into the X-Particles workflow. You can drive cloth with any X-Particles Modifier and rip it apart with the advanced tearing options. This feature adds a whole new dimension to motion design effects and destruction VFX shots. xpClothFX, the next chapter in our ongoing journey to bring our users a fully unified dynamics system right inside Cinema 4D. 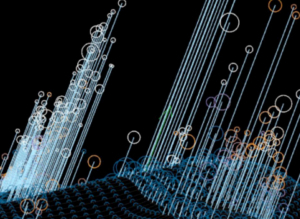 The next chapter in particle control, with xpFlowField, the possibilities are endless. They can be mixed and layered to push directed particle effects to the next level.Our fantastic new velocity field generator lets you create custom velocity field effects. You can drive particles with Splines, or Object Tangents or Normals, use the Cinema 4D noises to art direct your own custom turbulence. The possibilities with Flow Fields are endless. They can be mixed and layered to truly push directed particle effects to the next level. Our new xpSplineFlow allows you to quickly design and art direct the flow of particles along a Spline. The Spline Modifier uses multiple forces to push and pull particles in an organic, fluid motion. Control handles are automatically created along the spline. Each handle can be adjusted to size, position and has it’s own force controls. Splines can be easily edited, resized and amended; the xpSplineFlow will update in real time. Use xpSplineFlow with other modifiers, such as xpTurbulence and the X-Particles Dynamics Fluid Solvers, enabling you to create organic, realistic fluid simulations effortlessly. The xpCirclePacker allows you to emit particles while dynamically avoiding intersections. It controls the particle radius and emission point, avoiding overlap. Control the minimum and maximum radii of the packed circles, and use the separation parameter to give your particles space. Scale particles on and off with the Scale Up and Down curves, no need for keyframes! xpCellAuto generates particles based on three Cellular Automata Algorithms. Elementary mode; controls particles, based on rules about three neighbouring cells to create repetitive, geometric or chaotic patterns. Game of Life; has rules based on the life and death of cells producing authentic looking retro-style arcade game effects. Diffusion-Limited Aggregation; creates impressive growth systems, simulating the natural world with natural cellular structures within Cinema 4D. xpOpenVDB enables you to entirely art direct meshes; you can fine-tune the voxel size and radius scale. Use our filtering system to layer up your effects to take total control of your artwork. Generate unique meshes to create different results on the surface of your object by using the point option. Combine geometry objects and particles using our topology option, allowing you to produce fast, clean Boolean operations on the generated mesh. Add the xpEmitter into the mix, to cut real-time holes into your surface for stunning visual effects. 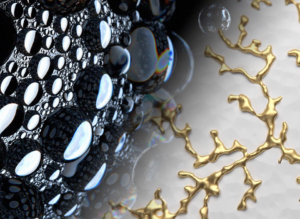 Whether you want to mesh stunning fluids and dynamic particle shots or create complex models; xpOpenVDB has it covered. 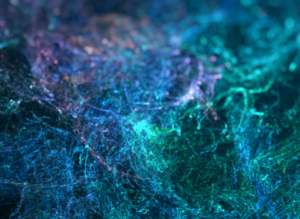 Our new Motion modifier will enable you to create abstract, chaotic particle animations. Teamed up with our xpTrail object to create beautiful animated flowing splines; Trail objects can be meshed with xpOpenVDB to generate abstract custom geometry easily. Make realistic gravity and orbit animations. Add an object or multiple objects into the Attractors window, and each object can be given an individual gravitational field. Particles can orbit each object, and you have control of the speed and intensity of the gravitational pull. The xpVertexMap Maker has four different modes to manipulate the vertex weight; Vertex Speed, Texture, X-Particles/Object Vertices and xpExplosiaFX. Vertex Speed, weight is calculated by how fast the object vertices are moving. You can use the weighted object as a particle emitter, access the vertex weight information to drive a scale modifier dynamically, and particles can be scaled up when their weight is full and down when their weight is 0 – excellent for motion graphic effects. Texture, uses the greyscale values of any texture to drive the vertex weight. X-Particles/Object Vertices, drag in your X-Particles emitter and wherever your particles make contact with the map they will paint weight. ExplosiaFX, use with our new xpExplosiaFX object to create custom vertex maps from fire and smoke simulations. Our new xpVertexMap Maker enables you to create fully procedural real time Vertex Maps inside of X-Particles 4. 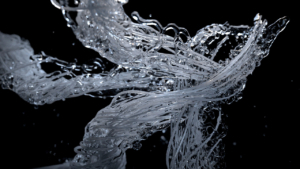 These essential features make X-Particles so versatile and easy to use. The X-Particles Emitter Object is the beating heart of X-Particles, opening up full control over every aspect of each particle. 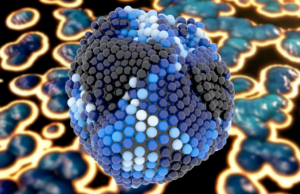 Bring your simulations to life with easy to use tools for everything from particle life, size, age, colour and much more. You can edit particles, set groups and take complete control with X-Particles. 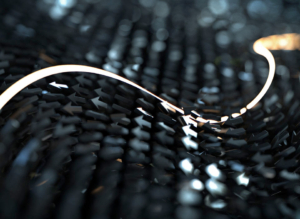 X-Particles is built seamlessly into Cinema 4D like it is part of the application. Compatible with the existing particle modifiers, object deformers, Mograph effectors, Hair and Thinking Particles. If you know how to use the Mograph module, you already know how to use X-Particles. It’s that easy. Experience intuative workflow and the possibility to create complex simulations by managing multiple systems. Create your own presets with the easy to use Save and Load Presets feature of the X-Particles System Object. 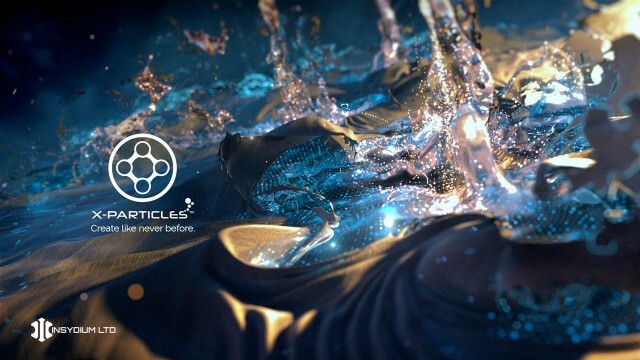 Using a simple and unique system of questions and answers, the X-Particles Control System is the brain centre of your particle simulations. You can setup complex rules and events to trigger an unlimited amount of effects. Do you need your particles to spawn on impact? With X-Particles it’s as simple with one question set to collisions. Your imagination is the only limitation. With the familar simplicity of the X-Particles interface, you can control attributes such as collisions, fluids and forces quickly and simply. X-Particles enables you to render particles, splines, smoke and fire, all within the Cinema 4D renderer. A range of shaders are also included for sprites, particle wet maps, skinning colour and even using sound to texture your objects. Particle rendering and high quality fast point rendering means every channel has access to modifiers to give you even more control over the end result. 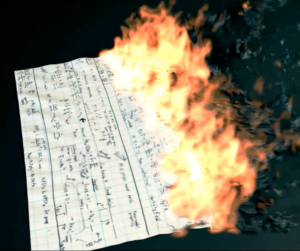 X-Particles comes with a dedicated rendering solution for smoke and fire simulations. Access smoke, fire, fuel and temperature data separately to shape your flames. 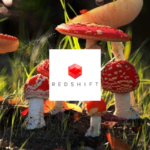 Redshift is the world’s first fully GPU-accelerated, biased renderer.